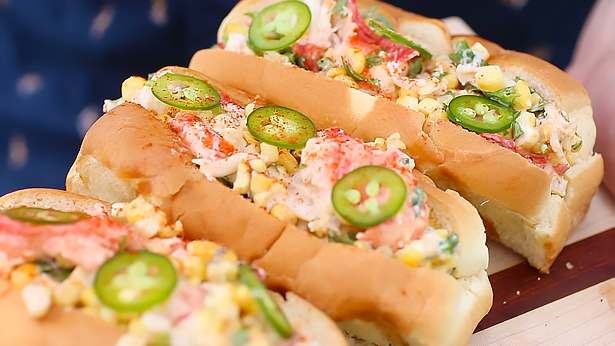 Summer in New England is all about lobster rolls. 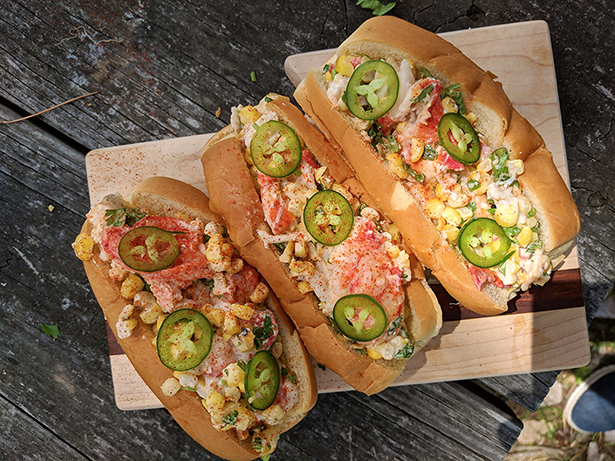 I was trying to think of a fun new lobster roll idea and I realized that street corn would work great in a lobster roll format. They both have mayo, and lobster and corn are best friends, so it really made a lot of sense to me. 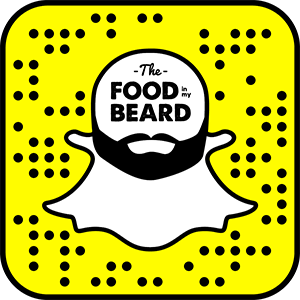 This recipe is the 5th episode of my summer Grilling@ series, and you can watch it below! Corn on the grill first, then the lobster. 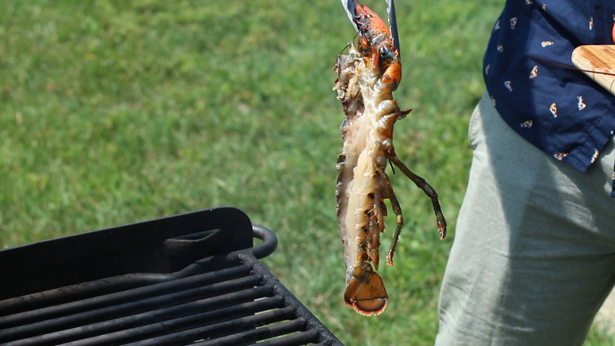 Cut the lobsters in half the long way and get them right on the grill. 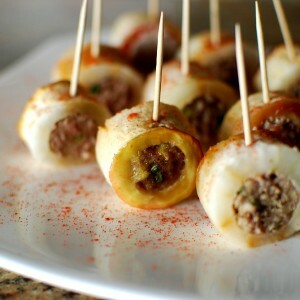 Cut side down first for a few minutes, then flip and let them cook in their own juices. 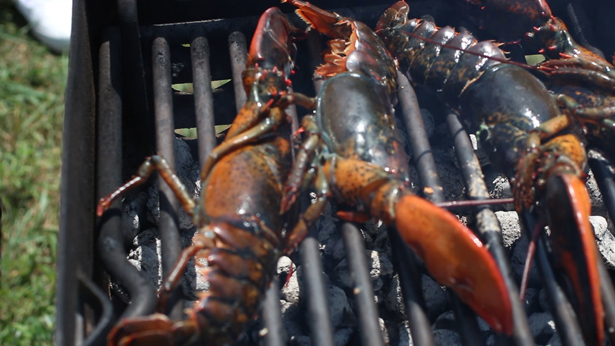 Love seeing the lobster halves on the grill like this. 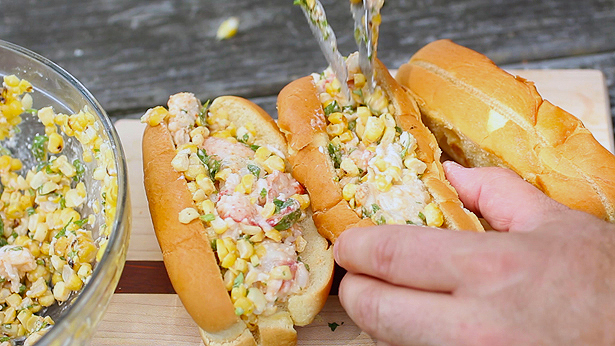 Mix the lobster with the corn, cilantro, mayo, butter, lime, cotija, and paprika. Then just fill up the rolls! Buttered and grilled of course. These are great! 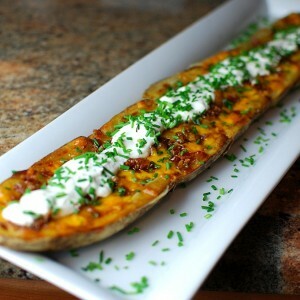 So much flavor and the hint of heat from the jalapeno really made it for me. 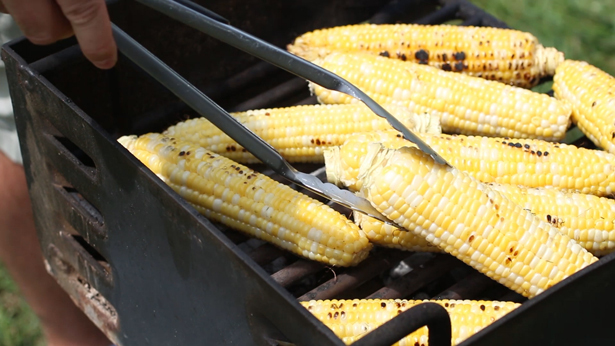 Grill the corn to brown, set aside. Split the lobster down the center to cut the tail in half. Crack the claws just to allow some heat to get in. Grill the lobster cut side down for 2-3 minutes, then flip and grill for another 10 minutes or so until the meat is cooked. Remove from heat. The claws may need more time depending on your heat and how big they are. Cut the corn off the cob into a bowl. 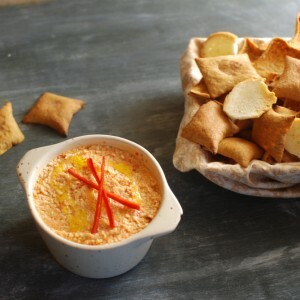 Get all the lobster out of the shells and add that to the bowl as well, roughly chopping it as needed but leaving it chunky. 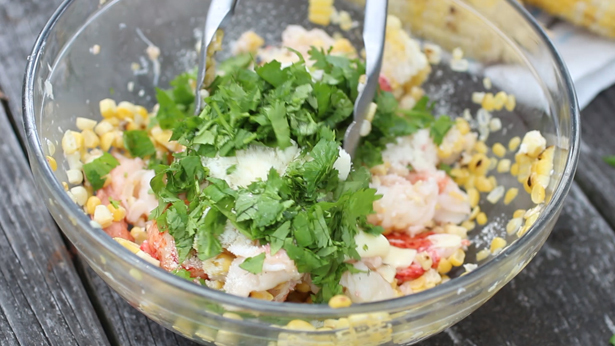 Mix the mayo, butter, cheese, lime, cilantro, and paprika with the lobster corn mixture. Stir well and season to taste with salt and pepper, adding more of any ingredient based on your preference. Butter the buns and grill them to golden brown. Add the lobster mixture to the buns and serve.